Already more than 30 companies compete in the media localization tools arena. It’s quite an attractive market with the potential to still win giants like Netflix, Amazon Prime or Hulu, as well as their entire supplier network. Read on as we continue our overview from Part 1. 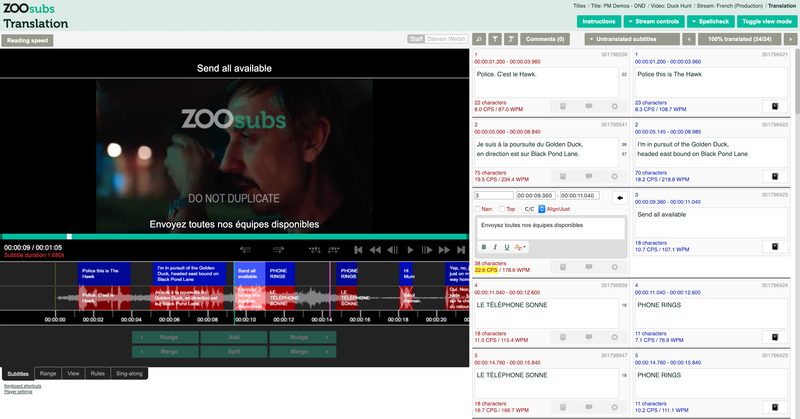 On the AVM cloud-based platform, translators, reviewers, studios, voice talents, and project managers meet online to facilitate the localization of videos into many languages. This online solution took 2 years to develop. It offers all users the ability to record voice to pictures, as well as to have video and script in one place, and translate there. This grants the talent the opportunity to concentrate on the performance. Translation may be adjusted to follow the pictures thanks to a color code which signals the optimum length for sentences. AVM allows capturing MT and turning the localized text into a revised and timed script. These measures help a studio to reduce pickups and record at a maximum speed. A special feature also allows quick subtitling. Final translation can be then fed back into Translation Memory. 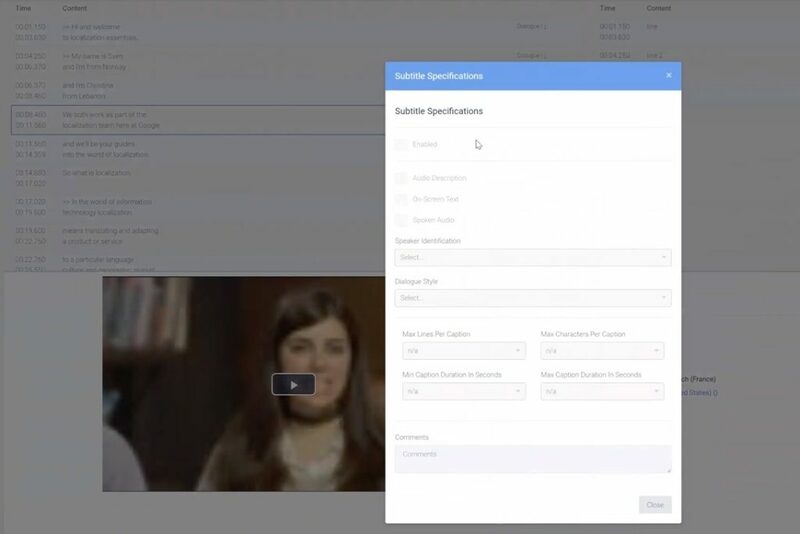 Solution with a 25-year legacy supports most of the historic and existing subtitling and media protocols, standards, and formats, and is ready to onboard new ones. The product line includes several software licensing levels and options. PBT EU has sponsored The Languages & The Media 2018 Conference in Berlin in order to promote their customizable timed-text platform, SubtitleNext. As per Ivanka Vassileva, CEO and Managing Partner at PBT EU, the event turned out very useful for their business. The company’s plans are now to gather more market share, and establish the brand as a market leader and as the best solution for the LSPs in the coming years. They also look for M&A possibilities. Omniscien is working on the Media Studio V2 due out in 2019. According to Dion Wiggins, Omniscien’s Founder and CTO, some of the biggest OTT providers and several of the largest LSPs in the media space that deliver services to them have adopted the V1 of the platform. 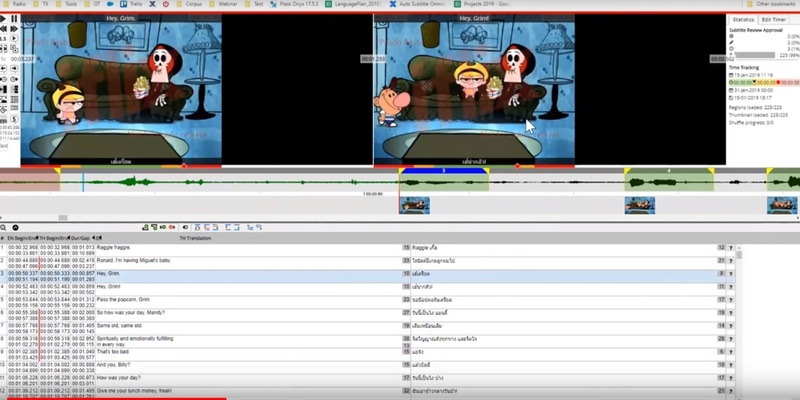 Media Studio is able to create a subtitle draft out of a raw video already in the target language. 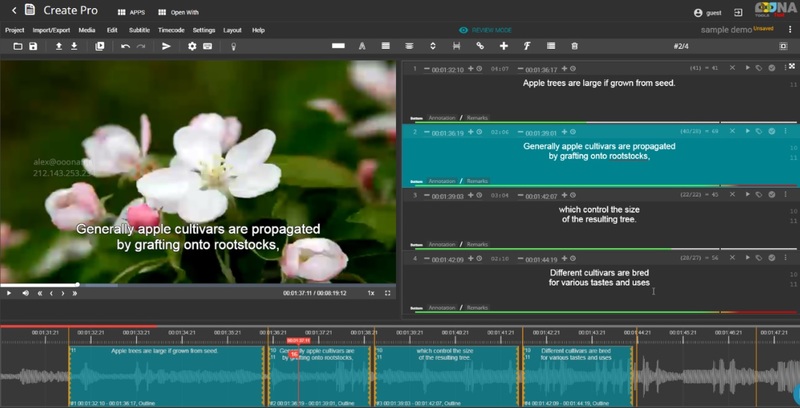 The solution can also adjust timings and split long sentences into multiple subtitles where necessary as it features machine learning components (audio transcription, dialog extraction, and neural MT engines pre-trained for subtitles in more than 40 language combinations). V2 is working from the director’s script to multiple language subtitles. It features project management, vendor management, and freelancer management side with task assignments. Omniscien is also working on dubbing for the V3 feature which is planned for Q3 2019, according to Mr. Wiggins. Zoo Digital, or ZOO, works with big names in global entertainment and media, including those in Hollywood. 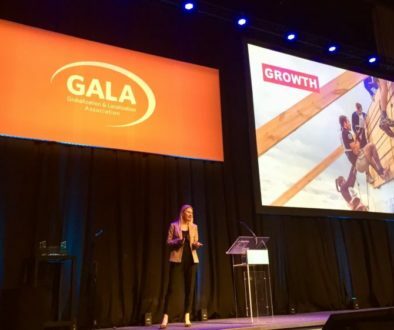 Following the trend of moving production and business processes to the cloud, the company has developed a platform that can be used by voice actors themselves. This eliminates the need for physical recording studios for dubbing projects. Time-to-market for dubbed TV and movie content decreases accordingly. ZOOdubs promises that the lines of audio cannot be missed during sessions – the solution systematizes the dubbing process to ensure recording sessions capture all events. This helps to manage the dubbing workflow. 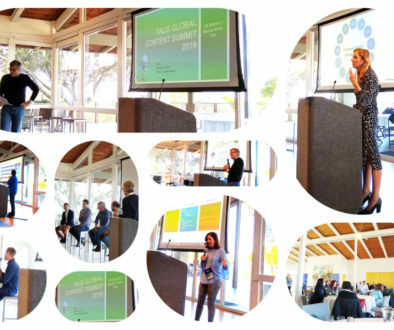 Here is a glimpse behind the curtain of how cloud dubbing actually works: ZOO’s creative director Raúl Aldana leads a live recording session – connected in the cloud. A peculiarity of ZOO’s solution is using facial recognition. Together with utilizing machine learning, ZOO can obscure all parts of each frame except the faces or mouths of screen actors. Some industry influencers, however, mention that though this dubbing service is good for large volumes for streaming, ZOO solutions are not yet suited for theatrical quality. Zoosubs web-site features an online calculator. By the time this article was written, the number of subtitles and captions created and stored using ZOOsubs was 289,312,188. In addition to dubbing and subtitling ZOO technology includes other solutions such as a platform for showcasing, sharing and screening TV and movie content, a platform for preparing and repackaging assets, a place to store, search and download assets, and other accessory platforms. 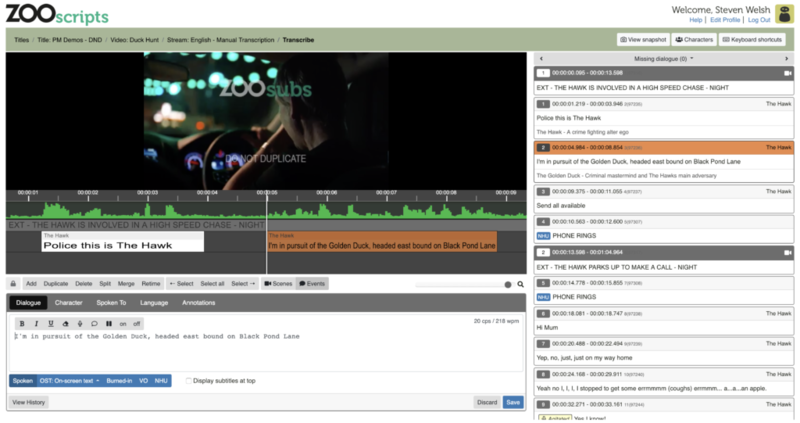 OOONA develops management and production tools for the translation, captioning and subtitling industry. OOONA’s online toolkit has a set of professional tools with each tool presented as a single ‘webpage’ interface. 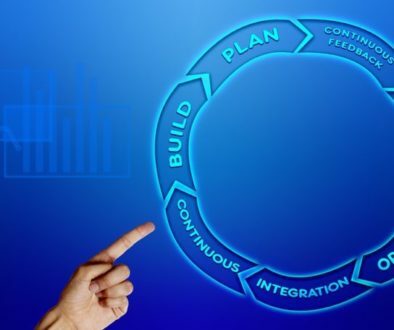 The tasks supported by distinct tools are create, translate, review, convert and burn/encode. OOONA’s Translation Manager uses web and database technologies to provide an intuitive system that supports the activities at all levels within the multimedia organisation. Translation Manager offers instant access to up-to-the-minute information about internal workflow processes, from overviews to individual task statuses. The system is not expensive considering its capabilities. Dotsub developed a Video Language Management System. 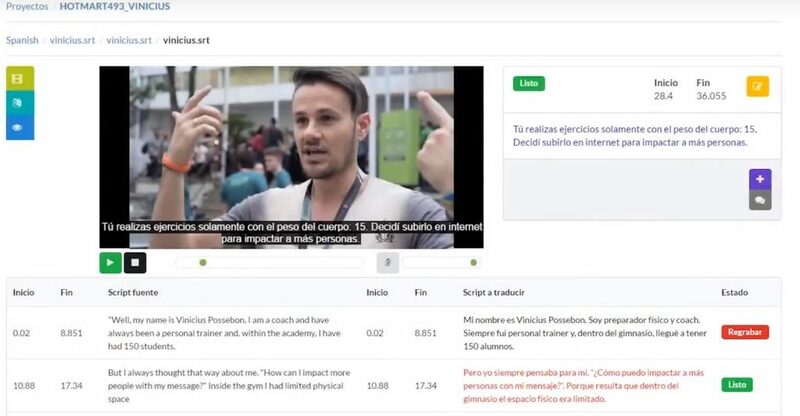 VLMS platform features an Upload-Caption-Translate-Publish production cycle, offering managed captioning and subtitling processes in over 100 languages, including RTLs. Apart from Dotsub’s language specialists, the company enables organizations using their own professionals, or using a crowd. They integrate with Online Video Platforms, CDNs, CMSs, and Video Players. In Dotsub’s clean workflow, there exists no possibility to set up an if-then-else logic. However, the translation and captions are all dynamic and the caption task understands the language of the video. So, if you say the video is in English, the tool will remember that. Dotsub is launching automatic speech recognition soon which will enable draft speech with time codes. A user can then review it as many times as needed. Once it progresses to the translation phase, the tool will automatically create tasks to translate into as many languages as required. When doing the burnings, the tool will know which font to use and whether it is RTL or LTR language. After as many automated cycles as needed, you’ll get the .srt or .vtt file to download. All of this is enabled through the API, except for the workflow part. 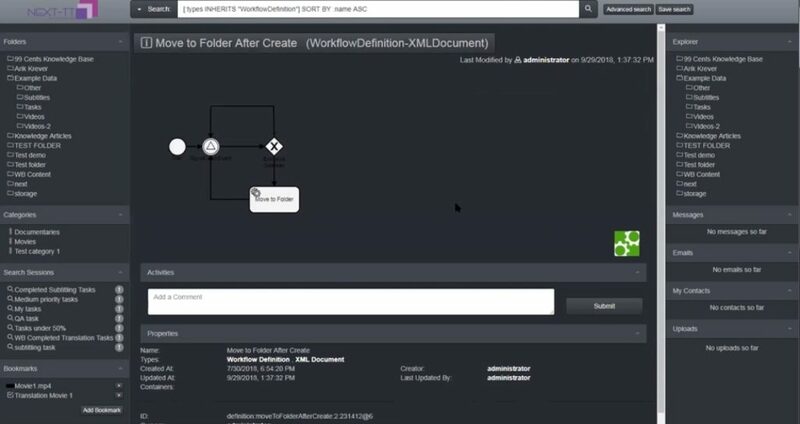 However, the workflow can be built there and then used in the API. Dubbing is the next thing the company plans to focus on. 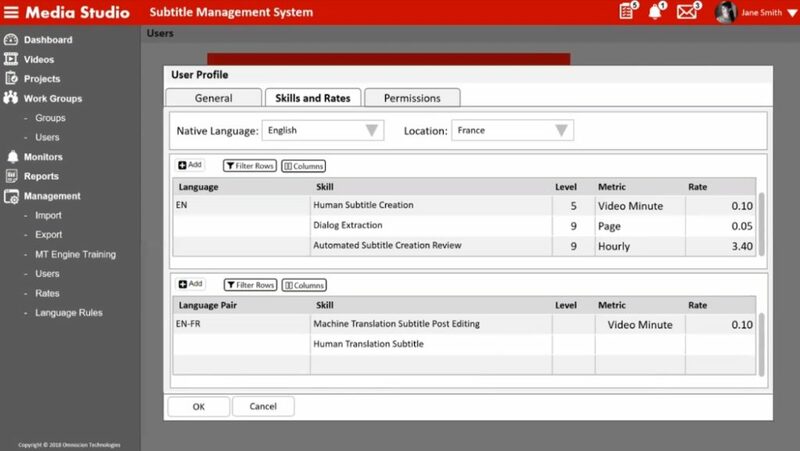 As we mentioned in the Part ONE, many translators use subtitle tools that do not have CAT functionality or a management component. Migration to solutions adapted specifically for multimedia localization is decelerated by the lower level of maturity of these technologies. It is not yet at the CAT level. That is why development is still going and money is continuously being invested. Keep ahead of the wave as we predict even more solutions will appear in this moving tech market. 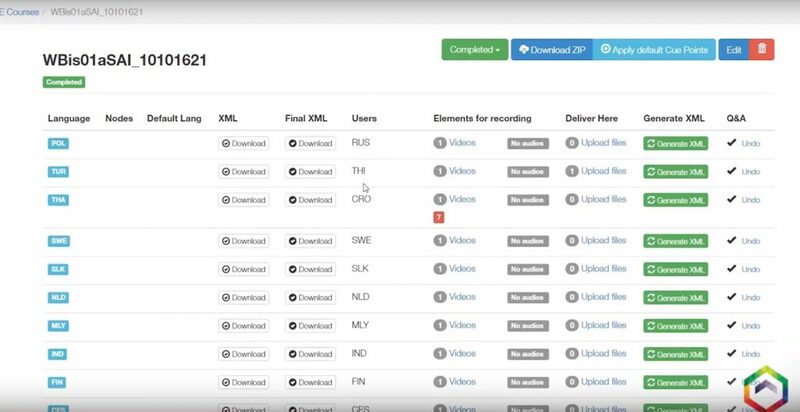 Here is the full list of tools with subtitling functionality that we’ve identified so far: Amara, Subtitle Workshop, Magix Samplitude, Ooona, dotsub + video TMS, SubtitleEdit, GTCom YeeCaption, videolocalize.com CaptionHub, 3PlayMedia, Omniscien Media Studio, memoQ, Media.NEXT by TransPerfect, Prime Media AV Manager, Limecraft, Zoo Subs, PBT EU Subtitle Next, Smartcat, Wordbee, ooyala, hakromedia subCloud, imediaTrans, EZTitles, Politext, MacCaption & CaptionMaker, and Venga’s InView for Subtitling.